The Welsh Highland Railway (WHR) or Rheilffordd Eryri is a 25-mile (40.2 km) long, restored 1ft 11½in (597 mm) narrow gauge heritage railway in the county of Gwynedd, operating from Caernarfon to Porthmadog, and passing through a number of popular tourist destinations including Beddgelert and the Aberglaslyn Pass. 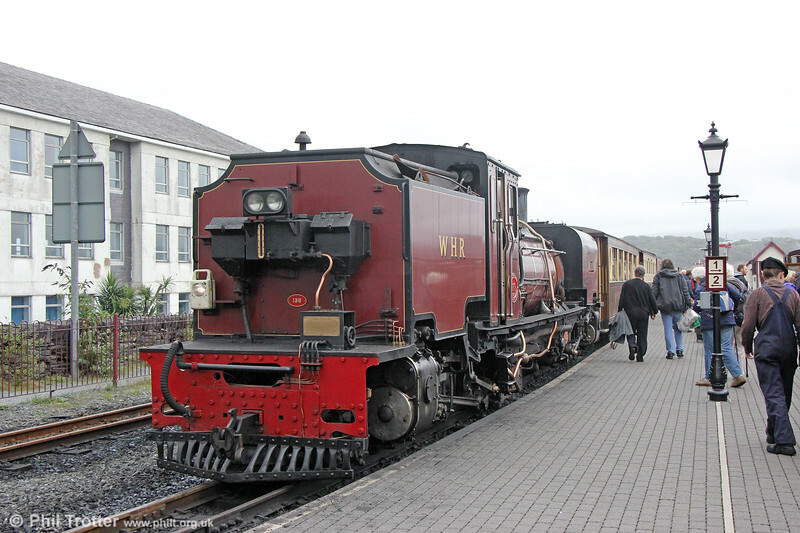 At Porthmadog it connects with the Ffestiniog Railway and to the short Welsh Highland Heritage Railway. In Porthmadog it uses the United Kingdom's only mixed gauge flat rail crossing. Welsh Highland Railway NGG16 2-6-2+2-6-2T Garratt no. 138 (BP 7863/1958) rosses the A497 at Porthmadog, ready to return to Caernarfon at 1540 on 7th September 2017.